Mineral Park was founded in a mineral-mineral rich basin in 1871. The mines of the basin were rich, and Mineral Park grew quickly, becoming the county seat by 1873 (taking the seat from nearby Cerbat). 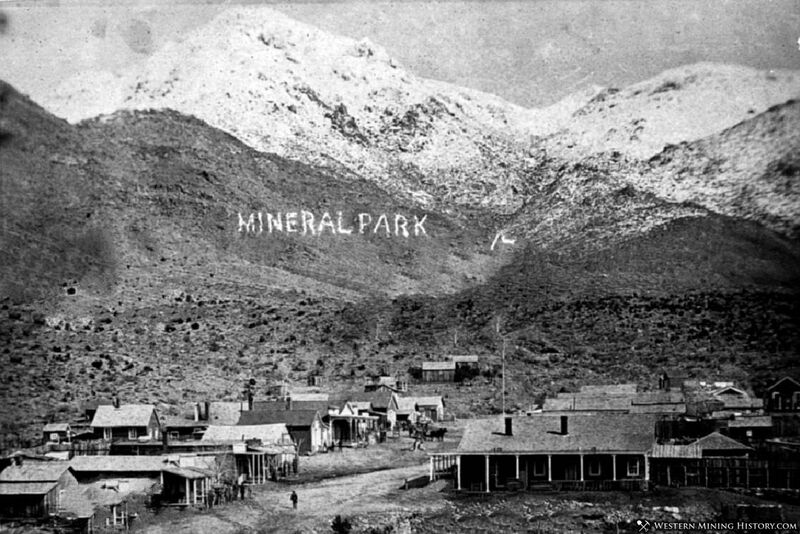 Mineral Park continued to grow through the first half of the 1880's, but in 1887 the mines were in decline, and the county seat was moved to the rapidly growing railroad hub of Kingman. The town continued to decline until the post office finally closed in 1912. Mineral Park became another Western ghost town. Magnolia Saloon - W.S. Clark. The finest Wines, Liquors & Cigars, Billard and Pool Table, "Would say to my friends of Mohave Co. that I am ready at all times to supply their wishes. CALL AND SEE. Me and you will be satisfied that The Magnolia is up to the times." Mineral Park Drugstore - Hyde & Watkins, Druggists & Apothecaries.... and dealers in all kinds of chemicals, assayers' materials, Patent Medicines, Toilet Articles.... etc, etc, etc.. groceries, candies, nuts, tobacco, cigars... Give us a call and we will satisfy you. Mineral Park Butcher Shop - Finest Beef in the Territory. I keep on hand fresh Eastern fruit, potatoes and dried fruit. Will soon have on hand fresh pork and sausages. James Smith. Today, the Mineral Park town site has been consumed by an open-pit mining operation. The only remains are the cemetery, which reportedly can only be visited with prior arrangements with the mining company.